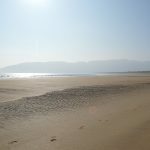 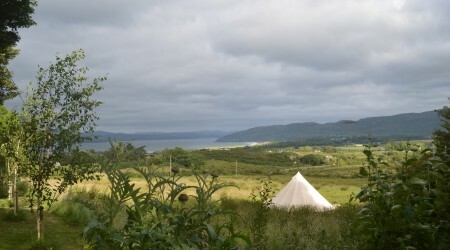 We offer accommodation in five beautiful and luxurious yurts – the best yurts Ireland has to offer. 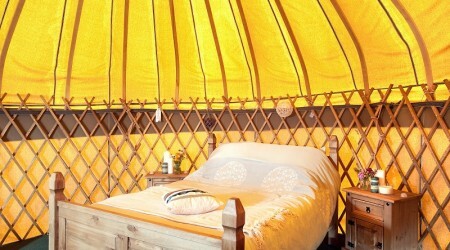 A yurt is a big round timber framed, canvas covered tent which makes a fantastic alternative to a traditional tent – more sturdy, warmer, cosier and much more spacious. 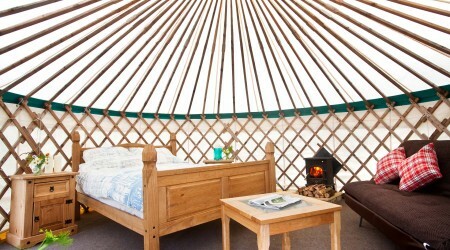 Yurts originate in Mongolia where people are nomadic and carry their homes with them from place to place. 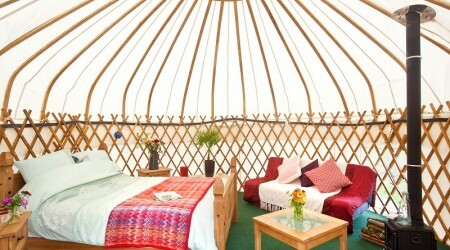 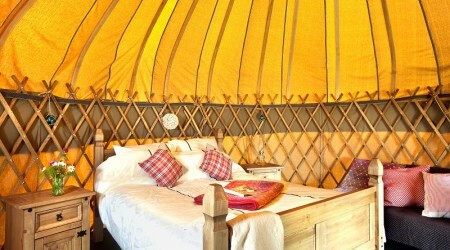 The yurt is designed to offer warmth and comfort to its residents no matter how cold, wet or windy the weather might get. 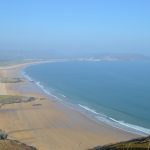 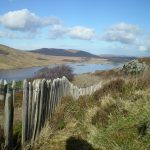 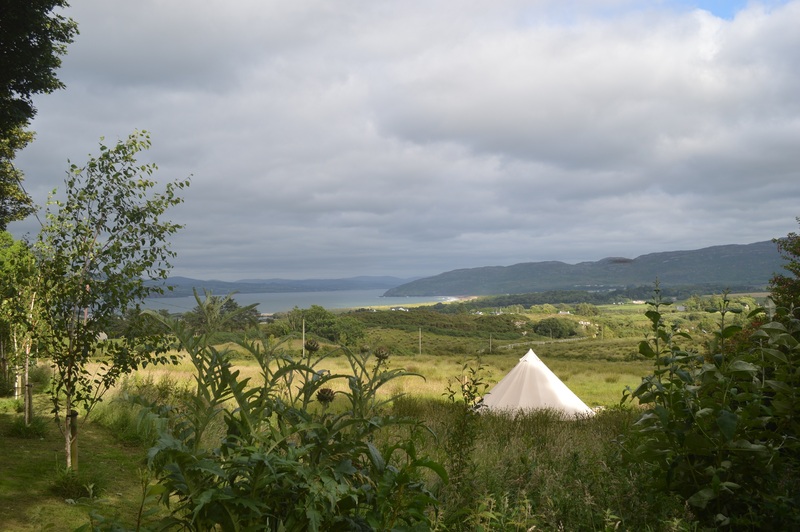 Outside your yurt there is a decking area, outdoor seating, firepit and barbeque area and stunning views of the ocean and mountains. 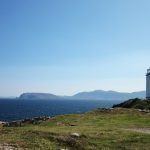 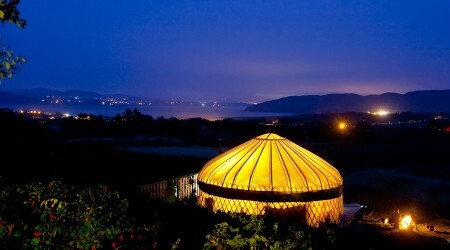 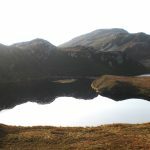 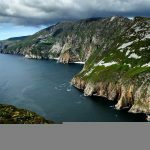 These really are the most magical yurts Ireland can provide for you!